Big and little ghosts and goblins alike enjoy creating Halloween themed crafts. But these crafts provide more than just a fun activity, they also make ghoulish decorations to help bring the spirit of the holiday into your home. From costumes to pumpkins, there are lots of creative projects you can make to decorate your home. Halloween crafts can be cute or scary. While some of your decorations will be more suited just for the holiday, many crafts can last the entire fall season. 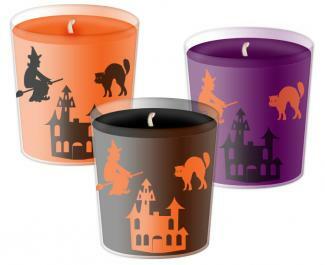 Candles bring a warm glow and a feeling of mystery to any room. Alternately, fill a shallow glass dish with candy corn and "float" candles in the middle of the sweet treats. For a completely safe candle holder, opt for battery-operated candles instead of standard votives. Nothing says "Halloween" like pumpkins. 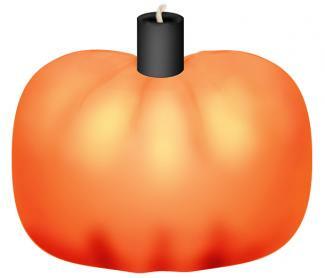 Traditional carved or painted pumpkins can be used to decorate your home, or try creating a votive candle holder out of a small pumpkin with these instructions. A simple pumpkin or grouping of Halloween-themed items can create an interesting table centerpiece. You can also create a memorable centerpiece that's fun to nibble on. Make labels on your computer using Halloween-themed clip art that say "Twisted Treats" or "Scary Sweets"
Let visitors and candy-seekers know that you're in the Halloween spirit by taking your decorating ideas outside, too. 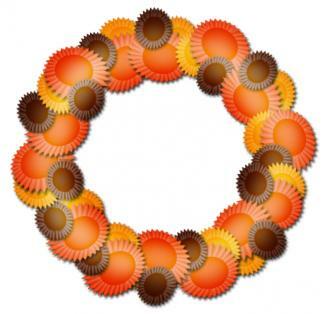 A Halloween wreath is a great way to welcome guests to your home. Fill two buckets or large bowls halfway with cold water. Add orange food coloring to one and black food coloring to the other. Separate coffee filters. Wearing rubber gloves, dunk the filters into food color baths. Leave in from a few seconds to slightly longer, depending on how dark you want the color. Remove filters and let dry on newspaper. Once filters are dry, glue them randomly onto the wreath form, making sure it's completely covered. There's no need to be precise; bunch the filters with your fingers randomly to create a pleasing, rounded shape. When the glue is dry the wreath can be hung as is, or you can adorn it with plastic skeletons, cut-out paper pumpkins, or any other Halloween embellishments you like. Create some spooky creatures to greet your guests and trick-or-treaters. Drape the sheets over large bushes in your yard and secure at the base with string, rope or bricks. Paint faces onto the sheets. Set the mood by choosing scary or funny faces for your garden ghosts. 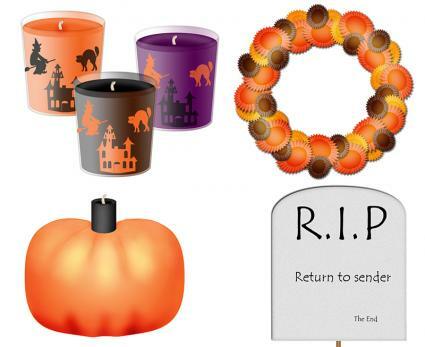 Create a spooky cemetery out of simple craft items to greet trick-or-treaters. Cut the front and back off of cereal boxes. Round the upper edges with scissors so that the top corners are curved, representing a tombstone shape. Paint the front and back light gray. Allow to dry. Add epitaphs with black paint. Funny R.I.P. sayings are sure to amuse guests as they walk to your front door. 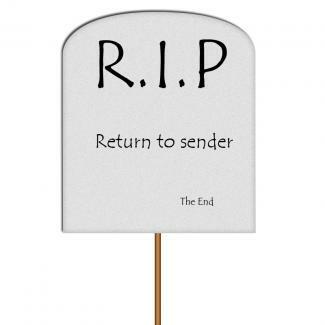 Place tombstones around your front yard. Use short dowel rods to make them stand. If you want to make your graveyard tombstones more durable to last several seasons, coat the finished tombstones with a clear acrylic sealant to protect them from outdoor elements and storage. It seems like every crafty mom loves to make cool Halloween costumes for her kids. Not only can you save a bundle, your children receive one-of-a-kind outfits that allow creative input from everyone. 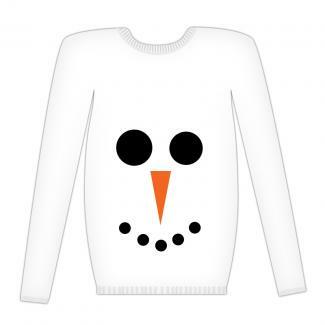 A snowman is a fun and whimsical costume for people of all ages. Creepy spiders can be spooky on Halloween. A cat costume can appeal to both children and adults, and can be customized with different colors. Opt for a traditional black cat to keep the Halloween spirit going. The only thing more fun than going out trick-or-treating is going to, or hosting a Halloween bash. Use these craft ideas to create a haunted atmosphere for guests. Handmade cards etched with Halloween-themed designs are fun to make and a great project for kids to help with. Print the information for your party on the inside of your cards. Cover the front of each card completely with bright orange, purple, white, gold, or silver crayon. Coat the cards completely with a thick layer of black tempera paint. When the paint is dry, etch a pumpkin, ghost, spider, or other Halloween design on the front using a toothpick or the tip of a nail. In addition to using this technique to make party invitations, this is also a fun way to design artwork that can be framed as a cute holiday decoration or to make clever embellishments to use when scrapbooking your Halloween memories. Make your party more memorable by giving each guest an interesting take-home gift. 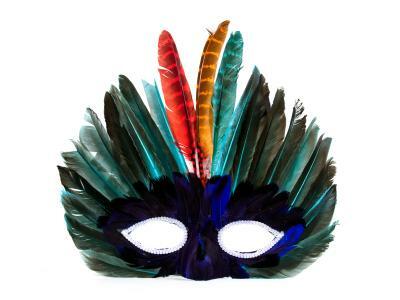 Guests who didn't show-up in costume can get into the spirit of the holiday with a homemade masquerade mask. You can even have your guests create their own during the party. Feathers, rhinestones and other embellishments. Dollar and discount stores often have plastic or ceramic skull and bone decorations for Halloween. While these decorations are certainly budget friendly, they're often just not very attractive. Add some interest to your Halloween decor by coating them in a layer of fine glitter. Cover work area in newspaper. Apply glue to approximately half of the decorations. Place the glued objects in the bowl or tray, then spoon glitter over the glue. Let dry for at least one hour. Tap off excess glitter, then repeat to cover the other side of the objects. These decorations can be hung with clear fishing line, or piled onto a tray for an eye-catching centerpiece. Kids of all ages will enjoy this activity. Young children will need supervision for this project and should use safety scissors. Carefully cut individual cups from the egg carton. Turn the holders upside down, so that the hump is pointing upwards. Paint the exterior with black paint and let dry. 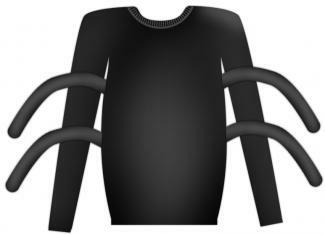 Glue the googly eyes on the front of the spider. Cut pipe cleaners to 3-inch lengths. Stick eight pipe cleaners directly into the body and bend to create legs. Get the whole family involved in Halloween prep by creating fun and unique crafts together. Kids will love showing off their homemade costumes, and you'll end up with lots of great memories that you can revisit year after year as you bring out these crafty decorations.